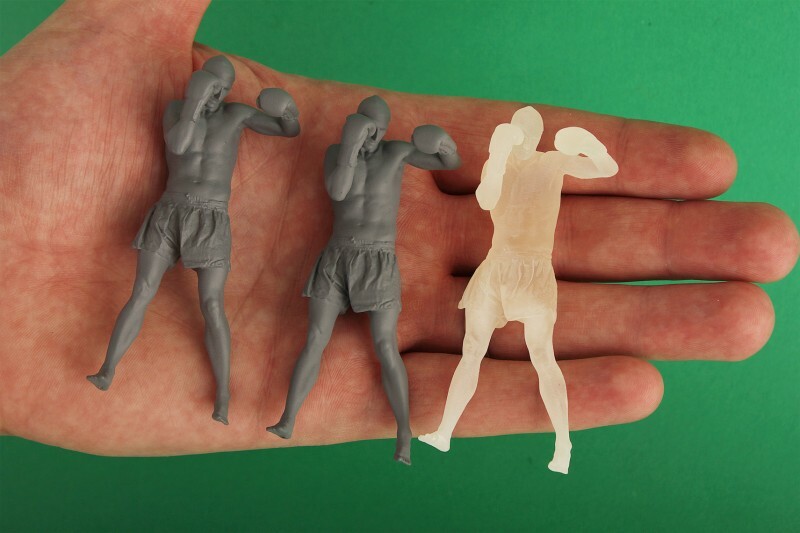 We received 3 6cm prints of our kick boxer scan from PD Models today. considering the size of the model the quality is excellent. They were good enough to provide us with 3 version of the same model one primed and polished, one with just the primer coat and the last one in the raw material.